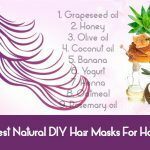 We want to provide you with the appropriate, safe, and affordable beauty solutions that use natural ingredients to deal with your beauty issues right at home. Your appearance affects not only your jobs, but also your precious daily life. BT understands that, so, it become an open forum and the most trusted place for us to freely exchange or share our beauty secrets with everyone to help them look more beautiful in almost aspects. Plus, to help you save time, money, effort, and be safe on dealing with beauty related issues such as skin, hair, nail, or face related issues, BeautyTalk will be here when you need us to give you the best solutions, tips, and tricks for those problems. All of the information and solutions that we provide you reviewed by trusted experts, doctors, professionals, herbalists, etc. Vindhya L Veerula MD grew up in Fort Wayne, IN. She attended Canterbury High School, and left to Ohio to pursue an accelerated BS/MD course. She graduated from Northeast Ohio Medical University (NEOMED) in 2012, and returned back to Indiana for residency. She completed her Internal Medicine Residency in 2012, and recently completed her Dermatology Residency at Indiana University in 2016. She is an energetic, proactive and compassionate medical practitioner, with a strong background in overall wellness. Her practice will focus around integrative approaches to improve skin care, utilizing both evidence-based Western approaches she learned in residency, while simultaneously drawing upon eastern techniques to fully help heal her patients. 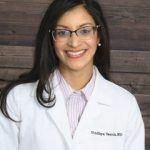 She also advocates a plant-based lifestyle, and is excited to share her knowledge and passion with her patients, while empowering them to live more fulfilling, proactive lives. Marry Cao – She is a doctor of oriental and pastoral medicine, and acupuncturist. Her mom is an herbalist. So, when Marry Cao was a child, her mom taught her about in-depth knowledge related to herbs, plants, flowers, etc. and their benefits. She has a great deal of knowledge of natural remedies for a variety of health and beauty issues. Her interests include holistic and functional medicine, women’s health, preventative medicine, health care reform, and beauty issues. She likes writing and educating everybody on important health and beauty matters. She also helps the individuals around her get rid of some common illnesses and conditions with simple-but-effective at home remedies. 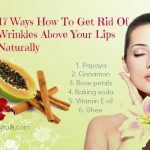 Natural treatments work well for various ailments associated health and beauty, and can often be less expensive and more effective than going to the clinics. At Beauty Talk, it is our mission to offer the most current, reliable and accurate beauty information online. We accept advertising on our site to support this mission. Beauty Talk is funded by the sponsors and advertisements. The aim of this policy is helping you easily differentiate between independent and advertising, editorial content on our site. We, Beauty Talk, haven’t evaluated the services and products advertised on our site. The fact that certain services and products are displayed on our site isn’t an endorsement of those services and products. We have established instructions on how we label advertising, and thus you will clearly know what is an advertisement and what is editorial content. Besides, we use visual cues and clear language to classify advertising from editorial content. Our site can publish special sections on certain beauty and health topics or fields. Advertisers may fund containing editorial, independent content that we selected or created. Other content on Beauty Talk.com may be on behalf of or provided by an advertiser. To help indicate the involvement of an advertiser, we may use labels such as “Sponsored by,” “Made Possible by,” “Support Provided by,” or “Brought to You by,” an advertiser located at the top of the page. Our site also contains a link on these pages to help provide more details regarding involvement with the content of an advertiser. Do you want to be a contributor for our content or share your personal beauty stories with us? Do you feel our content is inaccurate? Do you have troubles while accessing our website? Do you like to utilize our content for your own purposes? Do you want to pitch any product or service, or be interested in partnering with us? The information we provided in Beauty Talk is reviewed by trusted doctors, experts, professionals, herbalists, etc. But we are unable to give you personal health advice. If you are facing a medical emergency, you need to immediately call your local emergency service or go to the nearest urgent care center. Do you want to subscribe to update our daily articles? Or join in our social networks? Please visit this page to subscribe, or visit our social channels at: Facebook page, Youtube Channel, Pinterest, Google Plus, Twitter. 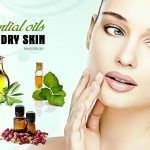 Top 7 Essential Oils For Dry Skin Treatment: Why & How To Use Them?